In our first post back since the holidays here’s the lessons learnt from our first public trial and an update on what we have planned next. The outer sloped/polished surfaces are sufficiently slippery. So the real rock surface is the best thing to grip. Many gym routesetters look for holds that ‘force’ moves for climbers, so we’re excited to see how else they can use our holds. For this trial we wanted to see how much wall angle affects the route. So we mounted the route on a slightly steeper indoor wall. This definitely bumped the grade up a notch or two (sorry!). We’ll be moving the route back to the slab wall next time, keeping the route at the popular V4 grade. Our latest generation of textures have proven more durable than our earlier versions. We’ll be updating all the holds with this newest generation of textures. The side-by-side video (see top of page) was a hit. We think this is because it clearly shows climbers that the route is just like the real thing. We’ll be focusing on this side-by-side content for our final product release package. We’ll also add other elements like side by side close ups of the holds, and improve the production quality. Climbers found out about our route through social media and TopLogger. But our holds didn’t have any branding. 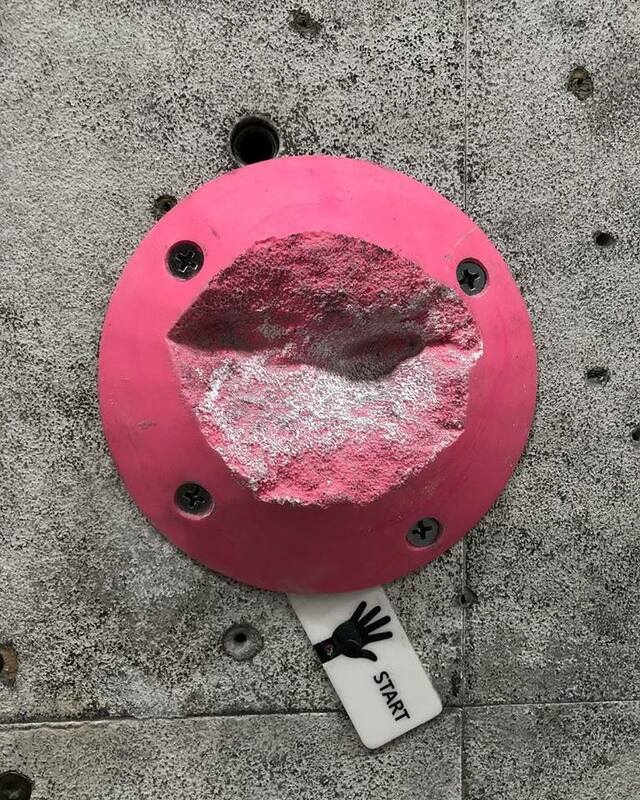 We’ll be embossing our logo on the next round of holds so it’s easier for climbers to find them at the gym. Luckily for us the distinct real rock shapes tended to give the holds away on the wall. An important part of these trials is collecting data to show climbers excitement/enjoyment of our holds. Throughout the trial conversations with climbers, social media and TopLogger provided some good starting data. As engineers, numbers and data are what make the world go round. We’ll be looking to formalise this more in the next trial, adding things like climbers surveys and sensors. With the encouraging results from the last trial we'll be looking to implement these lessons learnt into our holds and paired launch material (side-by-side video). The next short term goal is conducting another trial with more extensive data collection. We'll then use the performance of this trial to launch our first set of holds in earnest across Australia.